Today I had to capture a 365 image, and an image for the www.aday.org project. I am still not sure if this image is going to get used as the ADay project as well as today’s 365, but I thought it was interesting either way. I was at a loss as to what to photograph that would represent the place I am living, or just something that reflects our current era. I wanted something real and grimey, so I went to the first place that came to mind – a Walmart parking lot. 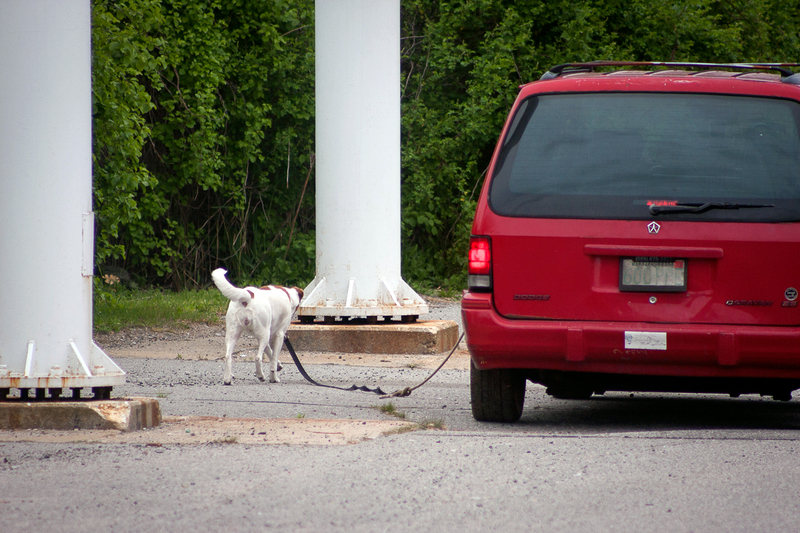 Here I saw this person walking their dog while driving their car. If this don’t say “lazy America”, I am not sure what does.